I drink tea, cold in the summer and hot in the winter, but I never gave much thought to where it comes from other than whether it's a flavor I like. I have little to no idea about the lives of the people who grow, harvest, or sell the tea. Lisa See's most recent novel not only introduces one group of these people, the Akha minority in China, to readers, but also examines the ways in which their culture and their relationships are changing as the tea trade itself is changing. Li-yan is a young Akha woman growing up in a remote mountain village in the Yunnan Province, bound by the long held beliefs and customs of her people. Li-yan's family has harvested Pu'er tea for generations, the women of the family carefully guarding the location of their prized "mother" tree from the men and all outsiders. Li-yan is caught straddling the past and the changing future where things like banishing those who bear twins will no longer hold sway over her culture. Falling in love, she commits the terrible sin of having a child out of wedlock, a sin punished by the death of the baby. Having no other choice, she gives her tiny daughter up for adoption even as she has almost immediate second thoughts. Her journey through life is not an easy one and the shadow of her missing daughter follows her always. An ocean away in America, Haley is the much loved, adopted Chinese daughter of an educated, white couple. She has forever wondered about her birth mother and why she was given up for adoption. Part of her identity is completely unknown, unknown except for the unusual pressed tea cake tucked into her baby blanket. It is her search for answers about her origins and about this tea that sets her on her own journey back to China. This is a dual narrative weaving Li-yan and Haley's stories. Li-yan's tale takes up the bulk of the beginning (and in truth the whole novel) and is told in the first person while Haley's tale is told through the many documents others write about her during her childhood, doctor's notes, her mother's letters to family, Haley's own school work. Haley's story only becomes a traditional narrative at the end of the novel. 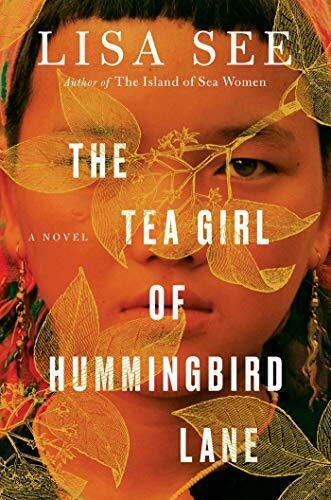 Although Haley's search for self and the identity politics involved are important, Li-yan's life and the trials she overcomes are far more interesting to the reader, offering a history of minorities in China, a glimpse at an evolving minority culture, insight into all the levels of the tea industry, and the treatment and ultimate power of women. No reader will doubt where the novel is headed but the coincidences required to reach that point can be a little unbelievable. See does an amazing job with the culture of the Akha and with the quiet power and will of the women in this story. Haley's desire to know her own past is well done and believable and it's lovely to see her parents' support for her need for information. Those who like a goodly dose of history and anthropology with their fiction will definitely enjoy this story of mothers and daughters, identity, what is gained and what is lost through globalization, and the changing landscape of the tea world, culturally, economically, and ecologically.